Every paper that you write in college is all about the research. The times of good all professor’s assignments are over, and from now on, you need to look for the information yourself, as well as choose the topic, make the conclusions, and come up with new interesting findings. We research information every day, because the tools have become available to us, and the amounts of information are vast. However, academic research is different from what we do on a daily basis. It requires us to sort the useful and reliable things from the rest. So, how should a student research his or her topic, in order to find the right kind of information: valid, relevant, and proven? Before you start your research, you must make certain that you get the assignment right. The first step is always finding the direction. The rest might come to you naturally in the process of research. So, find the direction — narrow down your topic, so that you will know where to look for information and what information to consider. Once you are ready, do the actual research step by step. Start with reference materials and tertiary sources. Learn about the aspects of your topic, prominent researchers, and the common problems. Use credible sources — your library is likely to grant access to peer-reviewed journals. Get a deeper understanding of a topic by reading information from a few sources. Write down the main points that you see in the researched material — they will be your arguments. Conduct additional research to find information to support your arguments. Organize the information according to your main points. Look for the missing information. Don’t forget about facts and statistics to illustrate your points. Your starting point might be an encyclopedia or a dictionary. You can even use Wikipedia for this purpose. Still, remember that you are just getting yourself acquainted with the topic, so do not rely much on your tertiary sources. You can include them in your bibliography along with the sources you consulted, but not in the reference list. You now have a general idea about your topic. Now dive a bit deeper, and learn about the common problems around the specific issue, its prominent researchers, so that you will know whose works to consult further. 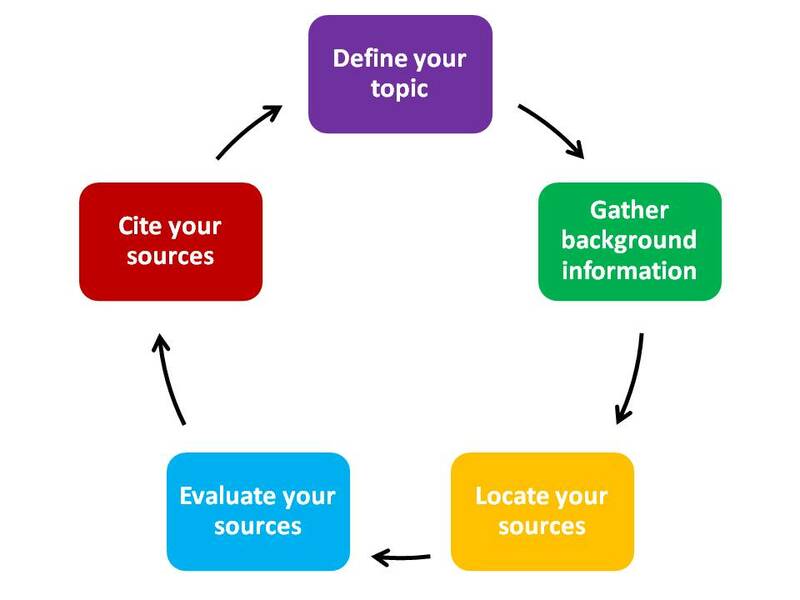 Continue your research by viewing a variety of credible sources. Here belong the peer-reviewed journals, scholarly magazines, manuscripts, dissertations, textbooks or collections of articles. If you can, try to find primary sources as well — studies, original interviews, and so on. You might as well conduct your own research. After you’ve collected and viewed a certain number of sources related to your topic, it’s time to enhance your knowledge and understanding of it. So read the information you’ve found and try to systemize it in your head. Once you’ve read the information, formulate the main points and let them guide you further. Bear in mind that, while you are acquainting yourself with the material, it’s always great to take notes. Sometimes, you would write down the entire citations, and sometimes (more often), you would paraphrase and add your own comments on the spot. Don’t forget to include the reference to the source you are taking information from. It can be done either in the relevant academic format (MLA, APA, or other) or just include the name of the author and pages, so that you can get back to the source easily. Now you have written down the main points and arranged some notes accordingly to them. Don’t stop here, but check if there is something you need or maybe would like to add. Be sure that you have evidence, such as stats and facts, to strengthen your arguments. In other words, make certain that you have proof for every statement in your paper. If you haven’t done it in the process of research, you can do it as the next step. A nice piece of advice would be to break down your paper into chapters and arrange the information within each one separately. Be sure that you are organizing everything in a logical way. This will help you write the paper more easily. By the time you get to this point, you are almost done. Look through your paper and the chapters or paragraphs within it to see if you have everything in there. Does the paper appear logical? Is the topic well explored? Is your research question answered? Can you answer the “So what?” question at the end? If something’s missing, you might do some more research, but this time, you know specifically what to look for. After you are done with this, it is just writing that’s left. Working with the sources is a complex and time-consuming activity. However, finding the sources can be at times just as exhausting, especially when you don’t know where to look for the sources. Let’s see some common ways to get hold of the sources for your academic paper. Your college’s library catalogue. Really, go to your library and browse the electronic catalogue. Or consult your librarian. Online databases. Your college must have subscription with some of the online scholarly databases. Google Scholar. If you’ve decided to research from home, you can do it here. However, often you will get access to abstracts only. Go to a public library. Why not? Especially if it’s in your neighborhood. Ask students on your college’s forum. Your college must have a forum or a network for communication. Use it to ask older students (or even professors) for some advice. Talk to your instructor. This doesn’t make you look stupid, but rather inquiring. Besides, you might save yourself some time. 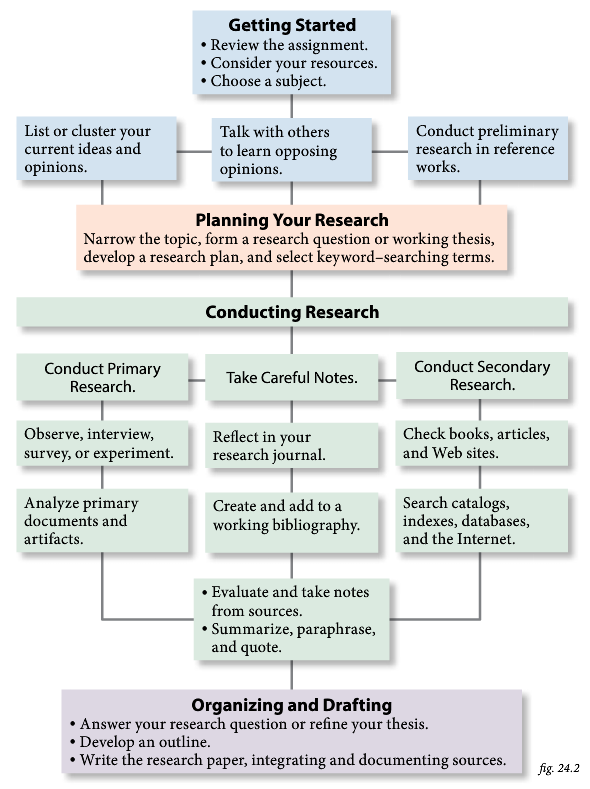 Last but not least, let us give you some tips that might help you make your research more effective. That is a general college rule. You might think it’s a lot, but such an intensity of sources will help you conduct a complete research on a certain topic. While this is not the necessary requirement, it’s a recommendation. To help you visualize that number, let’s say that, if you stick to the rule, you will need to consult 12-15 sources for a 5-page paper. You can use a separate document (or a paper sheet) for each of your arguments. These sheets will be filled with notes from the sources you’ve viewed. Once you’ve finished taking notes, you can review and rearrange them, and then it will be easier to combine them into one draft. Many college students face this problem that they get so much into research that it gets hard to stop. There is indeed a lot of information worth researching and topics worth writing about, but you should always stick to your own topic and your research question. Any spare information, no matter how interesting it is, will only undermine the quality of your research. In order to avoid that, always have your topic or your thesis statement before your eyes. To sum it up, when researching a topic, it’s always better to do it step by step. Start from the general information and move to the specifics after you’ve found and formulated your main arguments. Pick at least several sources for each page of your paper, but don’t try to overfill the paper itself with information. Always stick to the point not only when writing, but also when researching.